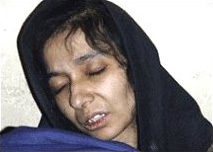 Bulletin title: "Examples Of How The West's Islamist Infiltrators Proceed"
Aafia Siddiqui is accused of working for Al-Qaeda. Such a well-placed infiltrator can wreak great damage explains a former CIA chief of counterintelligence, Michael Sulick: "In the war on terrorism, intelligence has replaced the Cold War's tanks and fighter planes as the primary weapon against an unseen enemy." Islamist moles, he argues, "could inflict far more damage to national security than Soviet spies," for the U.S. and Soviet Union never actually fought each other, whereas now, "our nation is at war." Nadire P. Zenelaj, 32, a 911 emergency operator of Albanian origins, was charged with 232 felony counts of computer trespass for illegally searching New York State databases, including the record of at least one person on the FBI's terrorist watch list. 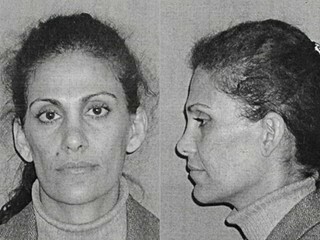 Nada Nadim Prouty pleaded guilty to multiple charges. Aug. 12, 2008 update: This survey complements my analysis of Islamist infiltrators into the U.S. military. See "Pentagon Jihadis" and "More Pentagon Jihadis." Related Topics: Muslims in the West, Terrorism | Daniel Pipes receive the latest by email: subscribe to the free mef mailing list This text may be reposted or forwarded so long as it is presented as an integral whole with complete and accurate information provided about its author, date, place of publication, and original URL.